Get it in 4 steps only! We will help you quickly ! Get it in 4 steps only!. 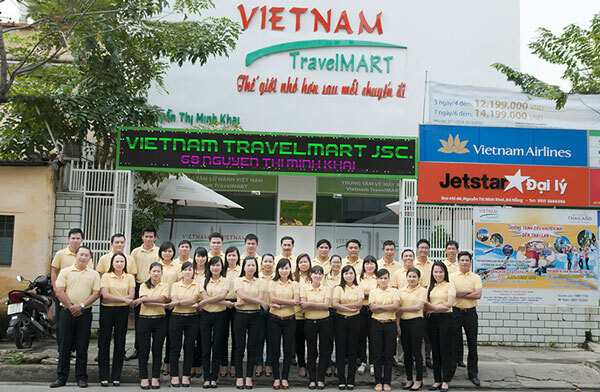 Vietnam TravelMart was established in 2013 - a young and dynamic company which is quickly growing as the top travel agent in Central Vietnam. Such a quick and impressive development was archived thanks to the most professional and experienced company’s leaders and staff who all have been working more than a decade in the tourism industry. With our motto “Keep moving towards by high service quality with competitive prices”, Vietnam TravelMart will always be your most reliable companion in the journeys to the Central, to Vietnam and the South East Asia..
Hotels, Resorts, Restaurants and hospitality related services. VISA, Transportation, Tour guide services. International and Domestic Airlines ticketing. Meetings, Incentives, Conventions and Exhibitions (MICE). Travel Consultancy, Hospitality and Tourism Training. These service fees are independent from the sum you’ll pay directly at the airport (Stamping fee): 25 $ for a simple entry visa (1 or 3 months duration) and 50 $ for visa from 1 or 3 months multiple entries visa. For applying more than 10 applicants or submitting information manually please contact us. Tet Holiday notes: we will be off from 02Februry. We will resume works on 11th/February. But you still can send the booking to our email and we will check after the Holiday. Thank you! Please click here to download the Application Form for visa stamp together with your visa approval letter on arrival to save time. 01. What is “visa upon arrival” ? 02. 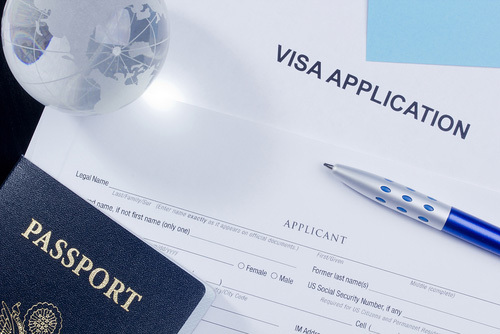 What is a “visa approval letter” ? 03. What information is needed for processing my visa? 04. How long does it take to get a “visa approval letter” ? You will receive the approval letter within 3 or 4 working days from the moment your payment has been confirmed to VIETNAM TRAVELMART. In urgent case, you will receive it within 4 – 8 working hours. 05. How can I receive delivery of my approval letter ? 06. Can I use this approval letter for overland travel ? 07. How much does it cost ? Cost of the service has to be divided in two steps. This fee has to be paid directly at the airport: 25$ for a simple entry visa (1 or 3 months) and 50$ for a multiple entry visa from 1 to 3 months multiple entries visa. 08. Which payment methods do you accept ? We will accept payment by Paypal. Payment will be secured by the SSL System (secure socket layer). 09. What are the procedures at Vietnam airport ? 10. Do I need photo ? What size ? Yes, please remember to bring at least 2 photos of passport regulation size. 11. What is the information needed to process my visa ? 12. How can I get further information ? You can reach us at the address vantrang@vietnamtravelmart.com.vn for any question concerning visas. © 2015 by VIETNAM TRAVELMART INC.